On behalf of admin of JML Law, A Professional Law Corporation posted in Product Liability on Wednesday, Dec 27 2017. Hatchimals bath bombs are the hottest Christmas present this year… literally – because they aren’t only the most popular toy of the season, but can also leave your child with an awful chemical burn. If you buy fancy toys that interact with your child’s skin, beware of side effects such as chemical burn. This is a warning issued by a concerned Baton Rouge, Louisiana mom, who documented how her daughter got painful-looking injuries while using one of the toys by giant toy company Spin Master. Fact: every year, thousands of defective products cause burn injuries to consumers in the U.S.
A recent incident involving a Hatchimals bath bomb has been making rounds on social media after the mother, identified as Jennifer Renee, shared her experience of using the egg that is supposed to hatch a toy when placed in the water. But it went terribly wrong after her daughter’s skin began hurting and she suffered a chemical burn. The toy was placed in the water for only 30-45 seconds, the concerned mom wrote in a Facebook post, showing photos of her daughter’s burn. Are Hatchimals dangerous for children? 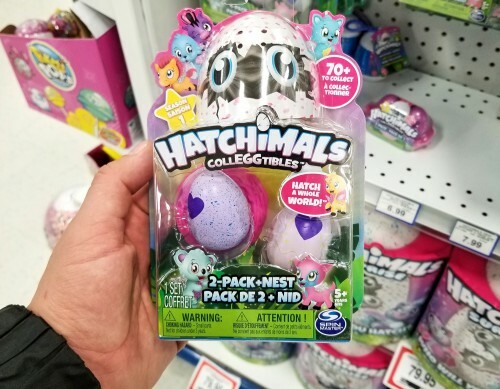 Renee’s post has spread on social media like wildfire, with hundreds of thousands of concerned and outraged parents calling on the toy’s parent company Spin Master to explain why Hatchimals cause chemical burns to children. The company didn’t immediately react to the incident despite Renee’s calls to the company. The mother was told by Spin Master representatives that the batch number would be investigated and “likely going to be recalled,” admitting that it had received “numerous reports” (though not all reports were about chemical burns). However, the toys with the same batch number were still available for purchase on numerous retailer websites a week after the incident was brought to the company’s attention. Our product liability attorneys here at JML Law explain that such conduct amounts to negligence, as toy companies – especially those focusing on manufacturing products for children – are legally required to react immediately and recall potentially dangerous products. Suffering burn injuries is very hazardous, and can even be life-threatening, especially for smaller children. It’s not uncommon for burn injuries to cause disfigurement in both adults and children. Inspect a toy for design flaws, manufacturing errors and other signs of defective products before letting your child play with it. Make sure you read instructions before first use. If a defective product has left your child with burn injuries – or any other injuries, for that matter – seek legal help of an experienced product liability lawyer who would thoroughly investigate your case to determine liability. Under product liability laws, multiple parties can be sued to collect damages: the manufacturer, assembler, distributor, retail store that sold the product, and others. You may hold these multiple parties accountable for your or your child’s injuries and damages to failing to prevent injuries in consumers, failing to provide an adequate warning of potential hazards, and strict negligence in manufacturing hazardous products. Contact our best Riverside product liability attorneys at JML Law to get a free initial consultation and find out all legal option that apply in your particular case. Recovering damages in product liability cases in Riverside is possible if you’re represented by a skilled lawyer. Call JML Law at 818-610-8800 or send an email for a free case evaluation.